Primrose Hill School is located on over 7.5 acres in the Village of Rhinebeck. Formerly an apple orchard, our campus is tucked away from the hustle and bustle of Route 9, preserving the quiet and beauty of our natural surroundings. This setting offers the children optimal access to the outdoors while providing them with a safe, loving, and nurturing environment. Newly renovated classrooms, filled with natural light, allow the children to stay connected to the outdoors even when they are inside. Wood floors, walls painted using a technique called lazure, and simple, natural, often handmade materials are hallmarks of our campus. Beauty surrounds the children, helping them develop a refined aesthetic sense. 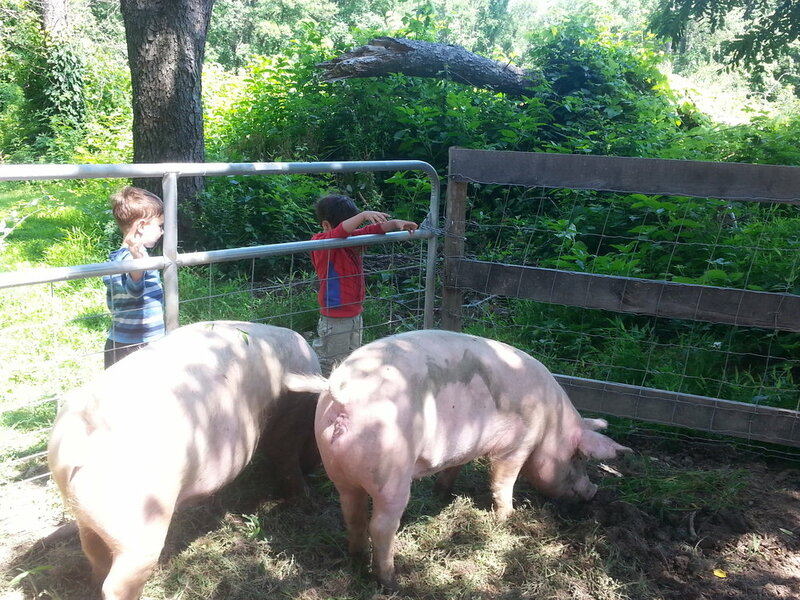 The farm at Primrose Hill School allows children the opportunity to work with the animals, learn about vegetable gardening, and experience hands-on what it means to be in relationship to the land. Our students care for Bucky the pig, Oreo and Pepper the goats, Gary the sheep, Tucker the horse, Charlotte the mini-horse, and a nest of bunnies. A generous donor from the community provided us with a new greenhouse in early 2018. We are easily reached from I-87, Route 9, and the Taconic State Parkway. Students within a 15-mile radius of the school may be provided with busing by their school district; please check with your district for details. Students are currently bused from the following districts: Hyde Park, Kingston, Red Hook, Rhinebeck, and Saugerties. Our students come from 20 towns in Columbia, Dutchess, and Ulster Counties and many of our parents carpool.